It seems that Peter O'Mahony can do no wrong right now. In fairness, he's had a hell of a year. Back in March, he not only enjoyed the triumph of winning the Six Nations; he only went and gave his medal away to a lucky fan. A marvellous moment, and a reminder of the character of the man. 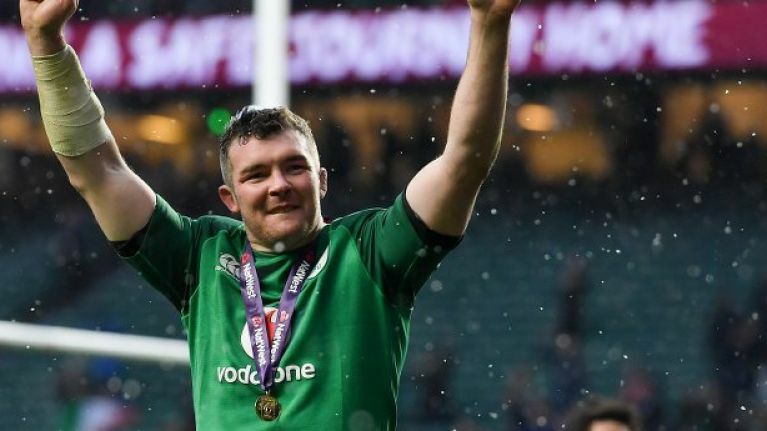 O'Mahony is an especially popular figure lately, following his incredible performance in last week's historic victory over the All Blacks, and his passionate display at the full-time whistle. 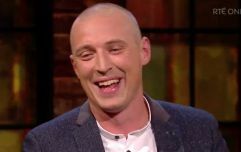 On Friday night's edition of The Late Late Show, the Corkman had some touching words for the late Anthony 'Axel' Foley, highlighting the "incredible influence" Foley had on his career. While in conversation with Ryan Tubridy, O'Mahony elaborated on the generous gift of his Six Nations medal to young fan Jennifer Malone. "The story behind it is that Jennifer comes to I'd say 95% of our training sessions in Carton House," he began. "She's there every training session. After we won in Twickenham, we were obviously celebrating afterwards and it was baltic. Anyone who was at the ground, going to the stadium, it was absolutely freezing. "We were in the dressing room afterwards for maybe half an hour, 40 minutes and it was the manager who said, 'Jennifer is outside, she's been waiting a while' so I ran out." O'Mahony explained that Jennifer was upset due to the cold. "She was upset, she was crying," he recalled. "I had my medal with the trophy and so we got a photo and I threw the medal around her neck and I asked her to hang onto it for me and mind it. "I'm very sure it's in her house," added O'Mahony as the audience gave him a warm round of applause.